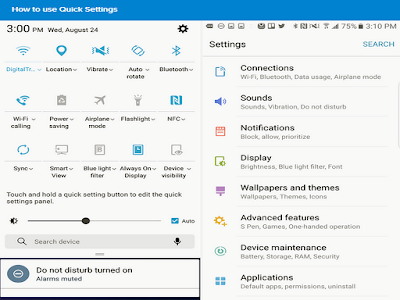 Connecting Samsung Galaxy S8 to Wi-Fi and Mobile Networks - Customise Samsung Galaxy S8 settings for functions and apps. You can make your Galaxy S8 more personalised by configuring various setting options on this tutorial. On the Settings screen, tap Connections → Wi-Fi, and then tap the switch to activate it. Select a network from the Wi-Fi networks list. The networks that require a password appear with a lock icon. Once the device connects to a Wi-Fi network, the device will reconnect to that network each time it is available without requiring a password. To prevent the device connecting to the network automatically, select it from the list of networks and tap FORGET. If you cannot connect to a Wi-Fi network properly, restart your device’s Wi-Fi feature or the wireless router. 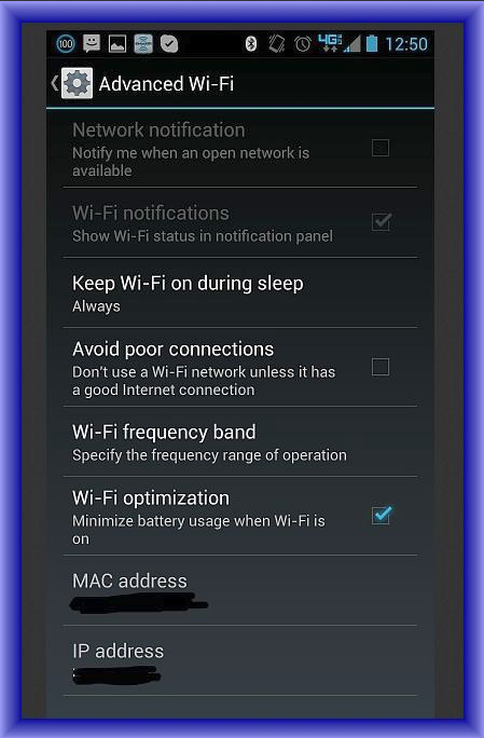 If the device you want to connect to is not in the list, request that the device turns on its Wi-Fi Direct feature. Select a device to connect to. 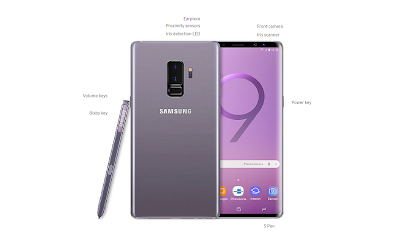 The devices will be connected when the other device accepts the Wi-Fi Direct connection request. You can share data, such as contacts or media files, with other devices. The following Galaxy S8 settings are an example of sending an image to another device. Tap Gallery on the Apps screen. Tap Share → Wi-Fi Direct, tick a device to transfer the image to, and then tap SHARE. Accept the Wi-Fi Direct connection request on the other device. If the devices are already connected, the image will be sent to the other device without the connection request procedure. 2 Tap Wi-Fi Direct. The device displays the connected devices in the list. Configure Galaxy S8 on your mobile network settings. 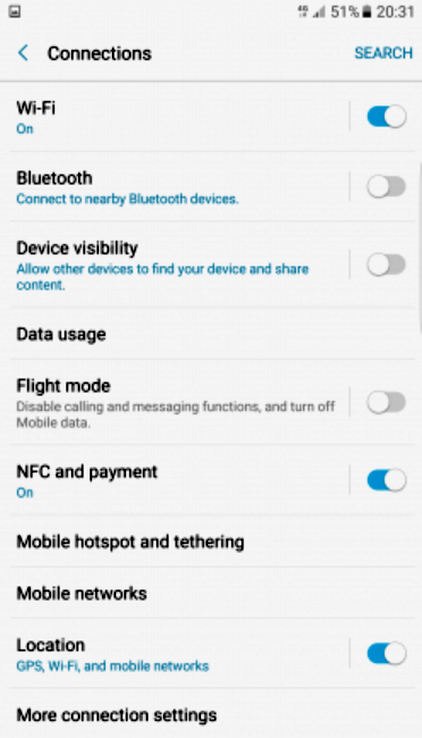 On the Galaxy S8 Settings screen, tap Connections → Mobile networks. Data roaming: Set the device to use data connections when you are roaming. Network mode (single SIM models): Select a network type. Network mode SIM 1 / Network mode SIM 2 (dual SIM models): Select a network type. Activate your SIM or USIM cards and customise the SIM card settings. Refer to Using dual SIM or USIM cards (dual SIM models) for more information. Dual SIM always on: Set the device to allow incoming calls from the other SIM or USIM card during a call. When this feature is enabled, you may incur additional charges for call forwarding depending on the region or service provider. Change Galaxy S8 Settings for location information permissions. Locating method: Select a network to use for locating your device. Improve accuracy: Set the device to use the Wi-Fi or Bluetooth feature to increase the accuracy of your location information, even when the features are deactivated. Recent location requests: View which apps request your current location information and their battery usage. Location services: View the location services your device is using. Get more connection settings control other Galaxy S8 features. Nearby device scanning: Set the device to scan for nearby devices to connect to. Printing: Configure settings for printer plug-ins installed on the device. You can search for available printers or add one manually to print files. Read More Printing for more information. MirrorLink: Use the MirrorLink feature to control your device’s MirrorLink apps on the vehicle’s head unit monitor. Read More MirrorLink for more information. Download booster: Set the device to download files larger than 30 MB, faster via Wi-Fi and mobile networks simultaneously. Read More Download booster for Galaxy S8 Tutorial and more information. VPN: Set up and connect to virtual private networks (VPNs). We hope you can get more usefull Galaxy S8 connection settings, control and other features keep update.